Many millions of working-age Americans would lose health insurance. Senior citizens would anguish over whether to pay their rent or their medical bills, in a way they haven’t since the 1960s. Government would be so starved of resources that, by 2050, it wouldn’t have enough money for core functions like food inspections and highway maintenance. And the richest Americans would get a huge tax cut. This is the America that Paul Ryan envisions. And now we know that it is the America Mitt Romney envisions. Of course, we should have known that already. Romney committed himself to the Ryan agenda during the presidential primaries, both by embracing the Ryan budget rhetorically and specifically proposing key features of Ryan’s agenda, starting with a tight cap on federal spending. But if anybody doubted that Romney was serious about these commitments, the Ryan pick should put those doubts to rest. Maybe Romney sincerely believes these ideas are right for the country and maybe he feels that endorsing them is necessary to please his party’s base. It really doesn’t matter. It’s the way he intends to govern. But will the voters get it? 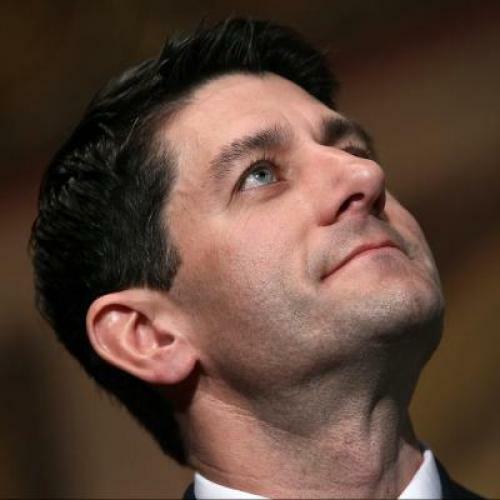 Ryan’s has a carefully cultivated image as a wonk hero, somebody who deserves to be taken seriously because he understands policy minutiae and cares about reducing the deficit. The image is a little misleading: As my former colleague Jonathan Chait has written in New York magazine, during the Bush Administration Ryan supported creation of the Medicare drug benefit and other policies that substantially increased the deficit. But Ryan's image helps to insulate him, and his ideas, from the charge that he’s proposing what would amount to the most radical revision of governing priorities in our lifetime. Pointing out the very real, very painful consequences his budget would have somehow seems impolite. With that in mind, here are five things everybody should know about Ryan and his agenda, based mostly on non-partisan authorities such as the Congressional Budget Office, the Kaiser Family Foundation, and the Center on Budget and Policy Priorities. 1. Ryan really believes in ending Medicare as we know it. The essential promise of Medicare, ever since its establishment in 1965, is that every senior citizen is entitled to a comprehensive set of medical benefits that will protect him or her from financial ruin. The government provides these benefits directly, through a public insurance program, although seniors have the right to enroll in comparable private plans if they choose. But the key is that guarantee of benefits, and it’s what Ryan would take away. He would replace it with a voucher, whose value would rise at a pre-determined formula unlikely to keep up with actual medical expenses. Ryan's early proposals had no safeguards to make sure the voucher was adequate. His most recent one has safeguards, a more reasonable spending line, and preserves the government-run plan as an option. But the safeguards are weak, at best, and the government-run program would struggle to survive. Over time, more and more seniors would find the voucher too small to buy the insurance they need. The long-term effect would of the latest Ryan Medicare proposal wouldn't be nearly as severe as the long-term effect of the original. But it'd be a difference in magnitude, not a difference in kind. Seniors would not get the same protection they do now. That would force more of them to choose between health care and other essential needs—the very same situation they routinely faced until the 1960s, when dismay over the hardship seniors faced created the political groundswell for Medicare. 2. Ryan really believes in ending Medicaid as we know it. Like Medicare, Medicaid is effectively a guarantee: It’s a promise to the states that, as long as they offer Medicaid and contribute their share, the federal government will enough money to cover everybody who is eligible for the program, no matter how many people it is. It’s also a promise to individual Medicaid recipients, that the insurance they receive will be sufficiently comprehensive to cover any service they might need—plus some extra services, such as lead screening for children, that are particularly critical for low-income Americans. Ryan would end both guarantees, by turning Medicaid into a “block grant.” Every year, the federal government would cut checks for the states, according to a pre-determined formula. The formula envisions massive cuts to the program; it’s one of the major places Ryan looks to reduce federal spending. Given those levels, states would be forced to reduce, dramatically, whom they cover and/or what they cover. According to estimates commissioned by the Kaiser Foundation and made by researchers at the Urban Institute, the end result would that between 14 and 27 million low-income Americans lose health insurance. That’s above and beyond those who are supposed to get insurance from the Affordable Care Act, starting in 2014, but would not because Ryan wants to repeal the law’s coverage expansion. Oh, one other thing. People forget that the majority of Medicaid spending isn't on the proverbial single mother living at the poverty line. It's on the elderly and disabled. One way or another, such severe cuts to Medicaid will impact their services, making it (more) difficult for them to pay for nursing homes and long-term care. Ryan and other conservative leaders, among them Senator John Sununu, of New Hampshire, wanted to be sure that Bush returned to [privatization] in 2005. Under Ryan’s initial version, American workers would be able to invest about half of their payroll taxes, which fund Social Security, in private accounts. As a plan to reduce government debt, it made no sense. It simply took money from one part of the budget and spent it on private accounts, at a cost of two trillion dollars in transition expenses. But, as an ideological statement about the proper relationship between individuals and the federal government, Ryan’s plan was clear. By the way, the plan was so radical that Bush eventually rejected it for a more cautious version. Specifically, the Ryan budget would impose extraordinary cuts in programs that serve as a lifeline for our nation’s poorest and most vulnerable citizens, and over time would cause tens of millions of Americans to lose their health insurance or become underinsured. It would also impose severe cuts in non-defense discretionary programs—much deeper than the across-the-board cuts ("sequestration") that are scheduled to take place starting in January — thereby putting core government functions at still greater risk. Indeed, a new Congressional Budget Office analysis that Chairman Ryan himself requested shows that, after several decades, the Ryan budget would shrink the federal government so dramatically that most of what it does outside of Social Security, health care, and defense would essentially disappear. Yet alongside these extraordinary budget cuts, with their dismantling of key parts of the safety net, the budget features stunning new tax cuts for the wealthiest Americans. These tax cuts would come on top of the average tax cut of more than $125,000 a year that the Tax Policy Center (TPC) estimates that people who make over $1 million a year will receive if — as the Ryan budget also proposes —policymakers make all of President Bush’s tax cuts permanent. Ryan believes all of these things. Romney does too. Is this the future a majority of American voters want? Over the next few months, we’ll find out. Update: Make that six things. Just in case your sense of reproductive biology is a little fuzzy, let me explain why that’s so significant. This is the earliest possible point at which you could define life, unless you want to go all Dr. Strangelove. As far as I know, it would effectively prohibit intrauterine devices (IUD) and some oral contraceptives, since those forms of birth control can stop pregnancy by preventing a fertilized egg from implanting in the uterus. It would also ban in vitro fertilization. Of course, fertilized eggs fail to implant all the time. That is how nature works. And that is one reason why even the ultra-conservative, rabidly anti-abortion voters of Mississippi rejected a similar proposal.